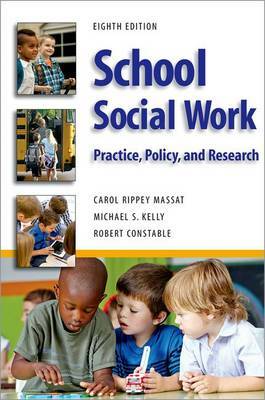 School Social Work: Practice, Policy, and Research has been a foundational guide to the profession for over 40 years. The first comprehensive introduction to the field, the book has featured the writings of the pioneers in the field while also accommodating the remarkable changes and growing complexities of the profession with each subsequent revision. The profession continues to grow in both the US and internationally, despite the ever-present concerns surrounding limited resources, budgets, and social worker to student ratios. Contemporary school social work takes place throughout the whole school and community, it takes place through policy change, and it takes place with at-risk students and their families as well as through individual and group work with students who struggle both emotionally and academically. This book reflects the many ways that school social work practice impacts academic, behavioral, and social outcomes for both youths and the broader school community. This revision features the contributions of 21 new scholars who bring their expertise in the field to this classic text. There are ten all-new chapters that reflect the current and emerging issues central to the profession, and eight extensive revisions of chapters from the previous edition. The eighth edition strengthens the book's focus on evidence informed practice, and places all content within the context of the prevailing multi-tiered model of school interventions. School Social Work: Practice, Policy, and Research is a practical, informative resource that provides an ample overview of the research and resources necessary to successfully meet the social worker's practic needs in public school systems throughout the world.... This book enlarges understanding, sharpens awareness, and improves effectiveness of practice as it dares readers, researchers, policy makers, educators, and school social workers to engage in ongoing research through the various means contained in its target chapters. "School social work is a diverse practice arena whose pratice and policy implications are largely defined locally and contextually. Seasoned social workers who desire to stay informed about trends and developments beyond their local interpretations and expressions will find aspects of this text to be informative, particularly the role of evidence-informed practice... Interns and less experienced school social workers will find foundational wisdom throughout the text. This book is most useful for graduate social work students in school-based field placements."